#2600 SuperLite — How It Works! Single Point (1P) Attachment, or underbed gooseneck towing systems, are fairly new to the RV’ing world, and growing in popularity. PullRite examines these trends responsibly and makes every effort to improve upon and educate the RV’er on whether that trend is right for them. After examining every Single Point (1P) Attachment hitches on the market, here’s what we have found to be questionable. What they don’t tell you about a 1P system, is that it can significantly weaken and eventually tear through your truck bed, which is essentially just a big piece of thin sheet metal. Let's take a closer look at the #2600 and how we improved upon the "untold" issues in similar models on the market today. 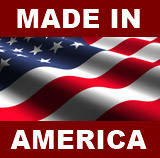 MADE FROM HIGH-GRADE, USA MADE STEEL — NOT ALUMINUM! In order for aluminum to be as strong as steel it has to be made harder; the harder it is, the more difficult it is to weld properly. If not done properly, the heat from welding will simply soften the aluminum in those welded areas, giving the material even less strength than when it began. For example, in building aircraft, you see only rivets being used in their construction of aluminum sheeting; any aluminum part in an aircraft will be riveted together...not welded. Steel, the material used in building SuperLite, does not soften when welded, so it retains every bit of its original material strength after the welding process. We put #2600 SuperLite through rigorous testing and were able to confidently rate it at 20K, unlike other aluminum models on the market that test out at 8,300 lbs.—that’s 58% weaker than #2600 SuperLite! For Ford aluminum bed applications, this material will act as additional insulation between the bed and steel rails eliminating the possibility of galvanic corrosion. Galvanic corrosion occurs naturally when steel and aluminum are placed in contact for an extended period of time. Since all single point hitches rotate on the ball front to back when starting and stopping, all single point hitches must mark up the bed from this movement. SuperLite Bed Saver Rails reduce or eliminate this problem because they are independent of this motion. That sounds good but still there is the friction between them and the hitch base that will likely make the base rails move over the bed to some small amount. If the rails could better grip the bed then even more of the movement would occur on top and even less on the bottom, that is what the liner material does. Because of its textured and “rubbery” quality it grips the bed reducing movement between the two. Of course, just by introducing a less abrasive material between the bed and the rails less marking should occur. Single point hitches can also rotate around the ball laterally, in other words, the hitch alignment with the bed becomes off. If enough rotation occurs, and then a sudden stop event happens, the gooseneck ball to king pin ball “offset” could cause the entire hitch to rotate around the gooseneck ball. If that happen during a turn in a short bed truck it would increase the likelihood of truck and trailer contact. If there is more friction between the Bed Saver Rails and the bed then rotation is less likely. This is an issue for most competitor's single point hitches. 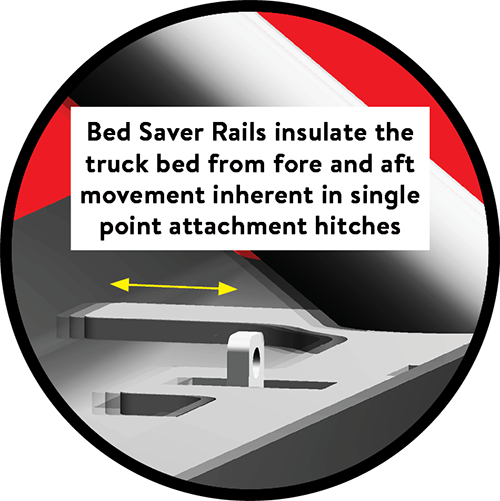 Bed Saver Rails are detachable bed rails that minimize surface wear and bed rail crushing. All 1P hitches have only one anchor point to the truck frame, and that’s a gooseneck ball. Since the ball is round, the hitch is bound to rock back and forth as the trailer alternately pushes and pulls against the acceleration and deceleration of the truck. This rocking action results in focused wear points where the front and rear edges of the hitch “dig” into the truck bed much like an old fashioned can opener. This action against the truck bed results in paint wear and bed channel crushing. The Bed Saver Rails distribute the torqueing stresses from towing on the bed channels over a wider area than any other single point hitch because they remain flat against, and perpendicular to, the bed channels. They are tabbed in place while towing, but are purposely left unattached to the hitch to insulate the truck bed from the back and forth action and the “can opener” effect. Other 1P hitches on the market have base rails that are welded to their hitch base, so during stops and starts, one end of the hitch is going to go up and the other end is going to dig down into the truck bed. Bed Saver Rails eliminate those stresses and wear points, so instead of having a pointed can opener in your truck bed, you have a spatula that won’t pierce the can. WHY DOES MY CHEVY/GMC TRUCK NEED A SUPPORT BRACKET? Nearly all gooseneck hitches are attached to the truck so the ball is located several inches forward of the center of the axle. If any single point (1P) hitch is going to be used in conjunction with a short bed truck (not recommended), then the owner may wish his hitch had the ability to be repositioned so the king pin is further away from the back of his truck as far as possible. This allows more degrees of turn before the trailer contacts the back of his truck cab. Between the adjustable offset of the #2600 base and the King Pin Adapter, the SuperLite 2600 hitch can compensate for most “forward of the axle” gooseneck ball installations. It may seem like an insignificant item, but the gooseneck ball is the ONLY connection your hitch and trailer has to the truck, so it should stand out as being different than all the rest, right? Ours does! 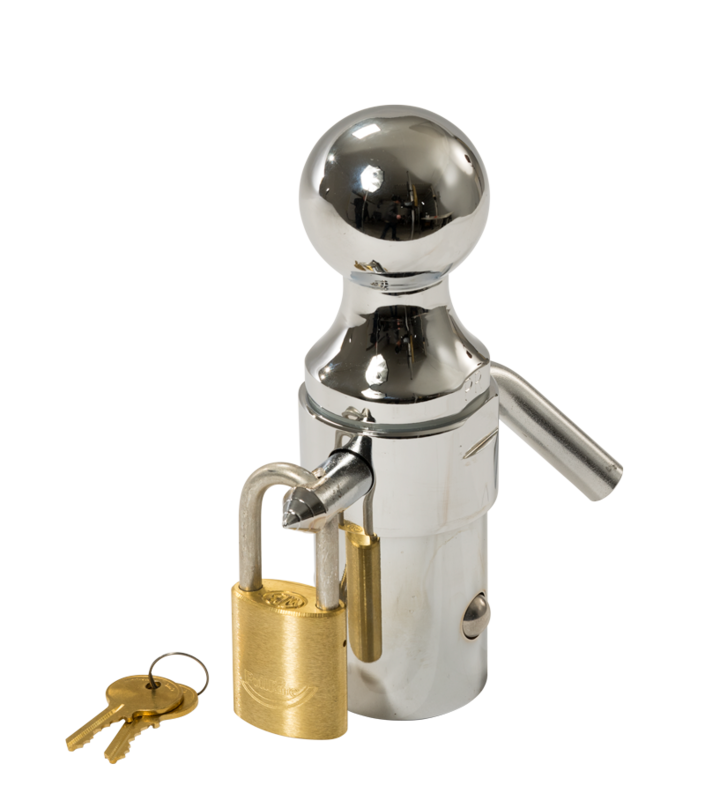 We have the only cam-based locking, corrosion-resistant gooseneck ball on the market! The #2600 SuperLite (#4438 Premium Chrome Ball shown right) is compatible with all popular brands of 2-5/16” gooseneck balls, but you can choose better than average. Not so with PullRite. Our locking mechanism is contained within the ball housing itself. One turn of the ball and you’re done. No lifting of tabs, no binding, and best of all, when you’re out RVing and feel the need for a bit more safety, simply substitute the pin and clip for a padlock and you're set! One thing we don’t find with other manufacturers of similar hitches is the stated precaution of much needed hardware safety checks...they simply don’t tell you to do it, and they sure don’t make it easy to remove and inspect most pieces. No hardware lasts a lifetime, and the quality of that hardware must be inspected frequently. A common problem that is overlooked by other manufacturers, and probably unknown to most consumers, is the issue of galvanic corrosion. This occurs when galvanized steel (widely used on hitch hardware) and aluminum come into contact with one another, and you can find this steel-to-aluminum contact on similar hitches on the market today. Over time, galvanic corrosion takes place and can weaken hardware to the point of failure. Because our designs are so modular, inspection of those items is far easier than with other models. In fact, every time you install or remove the #2600 SuperLite and Gooseneck Ball Receiver, you have an opportunity to see all the hardware that keeps your hitch in safe working order, not so with other brands as theirs are contained within housings and are completely hidden from you. Not only do we manufacture our own hitch pins with a higher grade material to ensure longevity and safety, but we choose all other hardware with the same exacting standards of quality. When your family’s safety comes down to the performance value of one bolt, you have to look twice at its strength, and we’ve done that for you. The Draw-Down Bolt on the #2600 SuperLite is the largest draw-down bolt being used for 1P attachment hitches and allows for greater torque value and increased safety. Similar hitches are only torqued down to 50 ft. lbs. 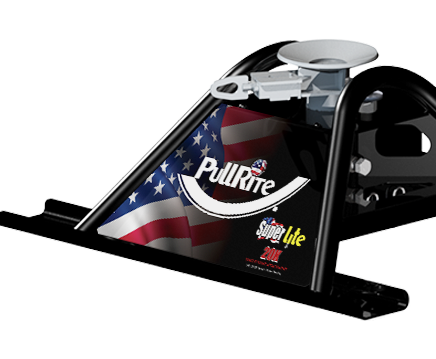 ; PullRite’s choice of bolt allows you to torque to 60 ft. lbs. 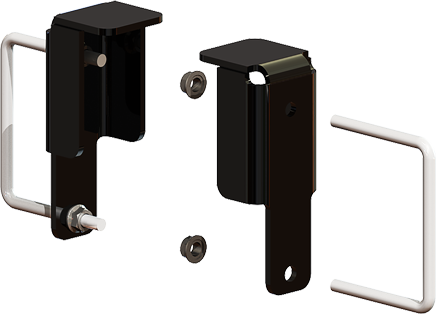 Yes, most single point (1P) hitches require you to re-torque your draw-down bolt and hardware every time you tow. Why? Other 1P hitch bases on the market position their hitch in the bed of the truck in relation to the location of cross sills located under the bed for support. When those cross sills are not close enough, or not directly underneath like Chevy/GMC trucks, it can cause serious bed flexing when the original torque is applied before towing. When the trailer’s pin weight is added, more flexing occurs, and the original torqueing must now be readjusted. 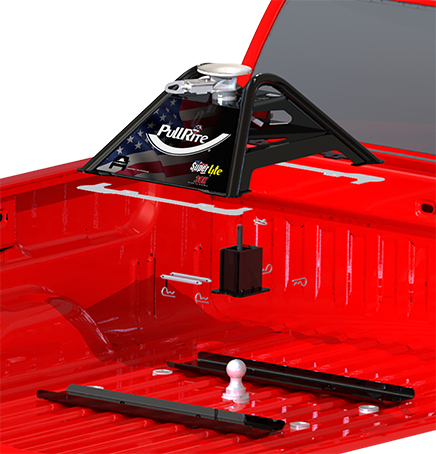 Because PullRite’s #2600 base can be positioned center of axle, the Bed Saver Rails are located over or very near to supporting cross sills. Another added benefit of the #2600 is that our Bed Saver Rails side-to-side in the truck bed, over and parallel with the cross sills underneath, distributing the towing weight more evenly, reducing bed flex.